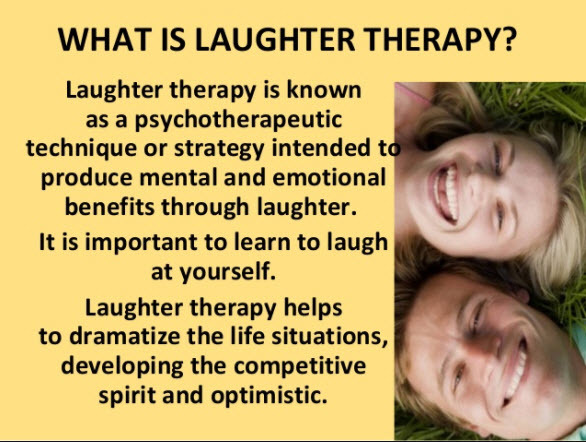 Laughter: Why Do Humans Laugh? Researchers found that it raises your heart rate 10% to 20%. If you laugh for 15 minutes every day, you could laugh off 4 pounds in a year. It releases brain chemicals called endorphins that may help you deal with pain better. That may be especially helpful for older adults who have chronic pain. One study followed two groups of seniors; one got “humor therapy” sessions and the other didn’t. The humor group told jokes and shared funny stories for an hour a week. After 8 weeks, those people said they had less pain than those who didn’t get the therapy. Research shows that a good chuckle may lower stress hormones like cortisol and epinephrine and raise serotonin — a brain chemical that helps fight depression. Scientists think humans may have a built-in “laugh detector”. It could be a brain circuit that only responds to the sound of laughter. Once you hear it, your laugh generator is tripped, and you get the giggles too. And, it’s the best contagion to catch.